Has NYC Broadway Week piqued your interest in world-class theater? We hear you. Once the dust clears and the appetite for Broadway productions is satisfied, it’s time to look beyond the Theater District. New York is a hub for experimental and up-and-coming theater. These are some of the top Off-Broadway production companies. 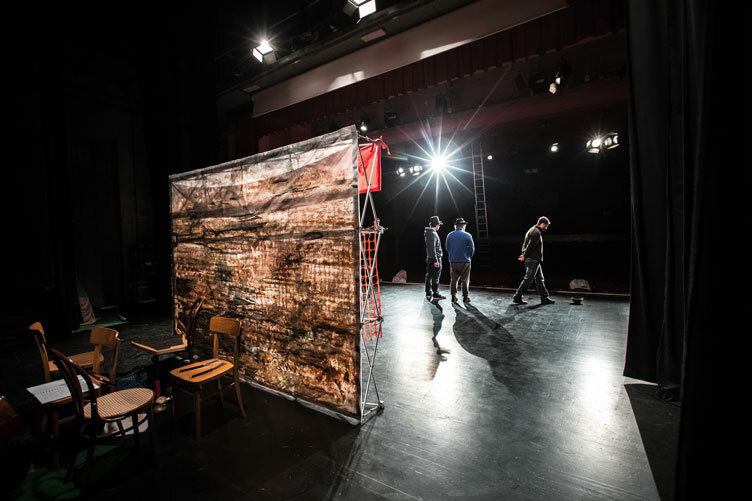 Home to Tony Award and Pulitzer Prize-winning productions, Atlantic Theater Company strives to present theater as a way to challenge our perceptions through storytelling. Its original plays and education programs bring the theater community together and shed a truthful light on the human existence. Widely regarded as a stepping stone for actors, playwrights and directors, La MaMa is an experimental theater club that nurtures up-and-coming talents. Established in 1961, this production company is internationally renowned for having propelled the careers over 150,000 artists! Generation NYZ by Ping Chong, and directed by Sara Zatz and Kirya Traber. City of No Illusions by Talking Band. Written and directed by Paul Zimet. Interested in brushing up on your Spanish? Repertorio Español is a fascinating theater with productions centered around the Hispanic culture. You may find a lineup of classic works of Spanish literature alongside with contemporary productions focusing on multiculturalism. All works are in Spanish but many offer English subtitles. Exquisita Agonía by Pulitzer Prize Winner Nilo Cruz and directed by José Zayas. I Am Latino with Saulo García and directed by Alfonso Rey. La Celestina based on Fernando de Rojas masterpiece of Spanish literature. Adapted and directed by Leyma López. El Coronel No Tiene Quien le Escriba based on Gabriel García Márquez’s novel. Adapted by Jorge Alí Triana & Verónica Triana. Directed by Jorge Alí Triana. Don’t miss the best of the city! Follow the Royalton New York blog and stay on top of the latest happenings in New York.